This initiative is designed to help new startups, VC's, internet entrepreneurs, journalists and foreign partners to understand the major players in the venture capital market of Ukraine and represent Ukraine through other startup destinations. This list includes only those people who are connected with the Ukrainian startup ecosystem in some way. Not all people from this list are currently living in Ukraine but there is a big chance of cooperation, mentorship or investment opportunity if you decide to connect with them. This catalog is published as my personal market research and some information could be subjective. Please don't hate but offer changes. Let's make most useful startup ecosystem overview for Kyiv and Ukraine for current and new players. Important change from previous catalog: this catalog doesn't include investors' average deal size but more clearly let understanding about what startups stages are most interesting for investors. Pro Tip: To sort table by a few columns at the same time, please, hold "Shift" button when clicking the column header. If you have more information to share – please write to my email kirill.mazur@ig.vc. If you support the idea of this research and know somebody who can be interested in this material – please share the link – it's the best way to help. One of the top active VC in Ukraine, $25 mln. under management Managing partner at IG.VC. One of the top active VC in Ukraine, $25 mln. under management Managing partner at IG VC. One of the top active VC in Ukraine, $25 mln. under management Venture partner at IG VC. The most active & most efficient VC from Ukraine on international markets Founding Partner at TA Ventures, a venture capital firm, investing globally in innovative seed and early-stage consumer Internet and mobile companies. So far, TA Ventures has 100 companies in its portfolio and has achieved 29 exits. TA Ventures is focusing on fintech, e-health, Big Data, SaaS, and online marketplaces. Viktoriya was listed among the TOP-5 IT influencers in Ukraine for several times (in 2012, 2013, 2014), 200 Most Influential people in Ukraine (in 2013), and 100 Most Influential Women in Ukraine (in 2012, 2013). The most active & most efficient VC from Ukraine on international markets Partner of TA Ventures. 15+ years of experience in venture capital and private equity. Before joining TA Venture, has worked for 6 years at "Western NIS Enterprise Fund" as Research Associate and Investment Associate. Prior to that, for 7 years has worked as Investment Manager at such venture capital firms as "AVentures" and "TECHINVEST". One of the top active VC in Ukraine Managing partner at AVentures Capital. One of the top active VC in Ukraine Founder & Managing Partner at AVentures Capital. Investing in startups on Late Seed and Round A stages. One of the top active VC in Ukraine Limited Partner and General Partner at AVentures Capital. Ukrainian Venture Capital Association Managing director at UVCA. Changemaker New Europe 100 rating (according to Financial Times, Google, Res Publica). Ukraine's Ambassador of CEE Woman in VC. GrowthUP is a First Ukrainian accelerator Founder and managing partner at GrowthUP Group. Co-organizer of the IDCEE (the biggest startup conference in Eastern Europe), Tech Networking Party. Member of Radar Tech Accelerator. Active promoter of startup community of Ukraine. Investments. GrowthUP is a First Ukrainian accelerator Deal Flow Manager at GrowthUP. Works with startups during GrowthUp acceleration program. Founder at Workcelerator.com and Startuplevel.com. Investments. GrowthUP is a First Ukrainian accelerator Principal at GrowthUP+ and Biz Dev at Awery Aviation Software. New! Roman Podenezhnyi GrowthUp Group, Startup Crash Test project CEO at Startup Crash Test project, Associate at GrowthUP Group. One of the largest investment companies on the Eastern Europe market and largest in Ukraine ($750mln.+) Managing partner at CIG. One of the largest investment companies on the CIS market and largest in Ukraine ($750mln.+) Managing partner at CIG. The biggest VC in Ukraine ($750mln.+) Associate at CIG. One of the largest investment companies on the CIS market and largest in Ukraine ($750mln.+) Associate at CIG. UAngel – The largest business angels network in Ukraine Chairman of UAngel. CEO at Detonate Ventures (D2N8). Igor Shraibman Detonate Ventures (D2N8) Managing partner at Detonate Ventures (D2N8). One of the top active VC in Ukraine Founder and CEO at Digital Future, board member at UVCA. Experienced serial tech entrepreneur with strong investment interests. 15+ years in tech entrepreneurship. Has started from scratch several successful IT businesses on highly competitive US and European markets. Trying to launch one or two new projects every year. One of the top active VC in Ukraine Managing Partner at Digital Future. Former Head of Research Committee at UVCA. Alex Kharchyshyn Ex-Venture partner at Digital Future. Viktor Kompaneiets Universal Commerce Group Director for Business Development at Universal Commerce Group. ex-Head of investments at Digital Future. Partner at MagneticOne Ventures. Vadim Rogovskiy WannaBiz Managing partner at WannaBiz (venture fund). Alex Bornyakov WannaBiz Managing partner at WannaBiz (venture fund). Artem Borodatyuk WannaBiz Managing partner at WannaBiz (venture fund). New! Alexandra Balkova WannaBiz Business Development Officer at WannaBiz. Dmitriy Tomchuk Fison Founder at Fison. Entrepreneur. Investor. Area of interests: fintech, e-commerce. Investments. Lena Khlevnaya Fison Cо-founder and PR at Fison. IT-entrepreneur. Mentor. Cо-founder at Datascoring. Investments. Leon Podobedov Angelsyndicate.vc, SOC Prime Founder at angelsyndicate.vc, Board Member/Investor at SOC Prime. Roman Prokofyev Jooble, Angelsyndicate.vc Founder at Jooble*. Entrepreneur, angel investor, founder at Jooble. Partner at Angelsyndicate.vc, LP in a few funds. *Jooble - search engine, that searching jobs around the world. Service is working in more than 40 countries: United Kingdom, France, Poland, Hungary, Spain, Ukraine, Russia, Canada etc. We have more than 1 000 000 users per day. Investments. Oleksandr Kosovan SMRK VC Fund, MacPaw CEO & Founder at SMRK Fund. Ukrainian tech-entrepreneur, founder of MacPaw and creator of CleanMyMac, an app that has recently passed the count of 4 million users. MacPaw’s success allowed Oleksandr to invest in the local IT field, providing funding and mentorship programs for young specialists. Investments. Andriy Dovzhenko SMRK VC Fund Managing partner at SMRK VC Fund. Max Polyakov Noosphere Venture Partners Founder at Noosphere. Founder of ClickDealer, Maxymiser and some other companies. Investments. Michael Ryabokon Noosphere Venture Partners Chief Innovation Officer at Noosphere Venture Partners. Co-founder at Noosphere Engineering School. Supervisory Board member at UVCA. Head Jury at Vernadsky Challenge. New! Marianna Yarosh Noosphere Venture Partners Innovation manager at Noosphere Venture Partners. Sergii Kravets GR Capital Associate at GR Capital. New! Max Filippov GR Capital Vice president at GR Capital. New! Vitaliy Provotorov Concorde Capital Venture Fund Director, Investment Banking Department at Concorde Capital. Business Development at Hideez Technology. New! Yurii Sachenok Concorde Capital Venture Fund IB Analyst at Concorde Capital. New! Sergey Makuschenko Syworks Group Managing partner at Syworks Group. Head of Marketing Development at PFSOFT. New! Denis Borisovsky Syworks Group Managing partner at Syworks Group. Entrepreneur with strong technology experience. Founder of PFSOFT company, which trading solutions are used by top tier worldwide banks and brokerages. New! Jaroslawa Z. Johnson WNISEF President and CEO at WNISEF. *Western NIS Enterprise Fund (WNISEF) is a $150 million regional fund, a pioneer in Ukraine and Moldova with more than two decades of successful experience in investing in small and medium-sized companies. WNISEF was funded by the U.S. government via the U.S. Agency for International Development (USAID). Since its inception, WNISEF’s cumulative investments total over $168 million to 118 companies employing around 25 000 people and made it possible to unlock $1.4 billion for companies in Ukraine and Moldova. New! Lenna Koszarny Horizon Capital Founding Partner and CEO Horizon Capital*. New! Ruslan Furtas Horizon Capital Investment Director at Horizon Capital*. New! Vasile Tofan Horizon Capital Partner at Horizon Capital*. New! Denis Tafintsev Horizon Capital Senior Partner, Member of Investment Committee at Horizon Capital*. Industry expertise: Privte Equity, VC, Banking, Internet, MiningFunctional expertise: Investments, Sales, Finance, Operations, Strategy, HR. New! Evgeni Utkin КM Core Chairman and President at KM Core. Sviatoslav Sviatnenko Borsch Ventures Director of Business Development at Borsch Ventures*. New! Tom O'Callaghan Borsch Ventures Agro Director of Borsch Ventures Agro*. New! Kirill Cehoval Intel Capital Investment Director, Russia/CIS/Baltics at Intel Capital. Igor Shoifott TMT Investments Investment partner at TMT Investments. New! Alexandr Chernyak Angel investor Co-Founder & CBDO at Carprice. New! Alexander Lobanov USP Capital Executive Partner at USP Capital. New! Alexander Tulko USP Capital Executive Director at USP Capital. Most successfull IT-product company from Ukraine on African market Co-founder and CEO at Genesis Technology Partners. One of the largest IT-product company in Ukraine Co-founder & Managing Partner at ZEO Alliance. New! Khmelnitsky Vasily K.Fund Founder at K.Fund. New! Sergey Gribov Flint Capital Partner at Flint Capital*. Alexander Gorlov CMS Group Managing partner at CMS Group. New! Alex Telnov iTech Capital Investment Director at iTech Capital. New! Alex Munteanu 4i Capital Partners Founder/ Managing Partner at 4i Capital Partners. New! Sergey Lysov 4i Capital Partners Co-Founder at 4i Capital Partners. Katherina Degtyar Startup Grind Kyiv, Startup Weekend Kyiv Organizer of Startup Weekend Kyiv and Startup Grind Kyiv. Can help find great outstaffing developer teams in smaller cities of Ukraine. ex-Incubation Program Director at 1991 Open Data Incubator. New! Alexander Romanishyn Ernst & Young Associate Director at Ernst & Young. EY Startup Accelerator Leader in Ukraine. New! Olga Danchenkova Ernst & Young Brand, Marketing and Communications Supervisor at EY and EY Startup Accelerator in Ukraine. First Internet of Things accelerator in Ukraine Founder at IoT Hub. Vadim Rogovskiy IQspace Business Accelerator CEO at IQspace Business Accelerator. (Popular startup spot at Odesa). Kateryna Seledets 500Startups Seed Program Manager at 500 Startups. ex-Operations, Business Development & Events at 500 Startups. ex-Startup Relations Manager at Happy Farm Business Incubator. Accelerators. Eveline Buchatskiy OneWay Ventures Partner at OneWay Ventures. Active supporter of UA50.org initiative, ex-Managing partner at EastLabs, board member at UAngel, Ukrainian Business Angels Network. Accelerators. Refael Yucha Coworking Platforma CEO at Coworking Platforma. New! Katerina Gorina Coworking Platforma CEO / co-founder at Coworking Platforma. New! Ali Asen Coworking Platforma Events manager at Coworking Platforma. Very promising tech district at Kyiv. Managing Partner at Unit.City. Ex-CEO of VDNG (tech & exhibition cluster). Very promising tech district at Kyiv. Managing Partner, CEO at Unit.City. Founder of Chasopys (one of the first Kyiv coworking spaces, one of the top startup spots). Co-founder at Radar Tech Accelerator. ex-CIO at Kyiv City Subway (Metro). One of the first Kyiv coworking spaces CEO at Chasopys Creative Space. (location for top startup events at Kiev). Ilia Kenigshtein Creative Quarter Founder and CEO at Creative Quarter, (recently opened coworking space at Kyiv). Managing partner at Hybrid Capital. Roman Khmil Creative Quarter Co-founder and CEO at Creative Quarter, (recently opened coworking space at Kyiv). One if active IT-activists among Ukrainian IT-community. ex-Department Director at Ministry of Infrastructure of Ukraine. Demyan Om I coworking hub Founder at I coworking hub. (pretty popular startup spot at Dnipro). Sergey Petrenko Coworking "Terminal 42" Founder and CEO, Terminal 42. (popular coworking space and spot for startups at Odesa). Dimitri Podoliev iHUB, SeedForum Co-founder & CEO at iHUB. Anna Petrova Startup Ukraine CEO, Managing Partner at Startup Ukraine. New! Vladimir Liulka Brain TV Founder at Brain TV. "Ukrainian Amazon" with $300 mln.+ annual revenue Founder & CEO at Rozetka.ua. Alexandr Olshanskiy Imena.ua Founder at Imena.ua. (One of the first and largest domain register company in Ukraine). Michael Libus Leeloo.Ai Founder & CEO at Leeloo.Ai. Entrepreneur with focus in gaming and AI. Dmitri Lisitski Gett Global Head of Delivery & Services at Gett (London). Andrey Akselrod Smartling Founder & CTO at Smartling. Oleg Rogynskyy People.ai CEO at People.ai (backed by YCombinator Spring 2016). Former CEO & Founder at Semantria. Eugene Vyborov YayPay Co-founder & CTO at YayPay (Techstars, 500 Startups). Founder of the first Ukrainian company, Allset, which raised money from top-tier VC fund in the USA. New! Vitalii Malets Publicfast CEO of Publicfast, influencers marketing platform with over 50K of influencers around the globe. New! Mykola Minchenko Sixa CEO & co-founder at Sixa. New! Kateryna Kondrunina Sixa Head of Business Development & Operations at Sixa. New! Aleksandr Galkin Competera Co-Founder & CEO at Competera. New! Alexandr Sazonov Competera Co-Founder/Owner at Competera. New! Andrey Mikhailov Competera Co-Founder at Competera. Grammarly is the first company from Ukraine raised as big as $110 mln. in their first round CEO at Grammarly. Grammarly is the first company from Ukraine raised as big as $110 mln. in their first round Co-founder, Product all-rounder at Grammarly. Grammarly is the first company from Ukraine raised as big as $110 mln. in their first round Co-Founder at Grammarly. New! Volodymyr Usov Kwambio CEO at Kwambio. Founder of the biggest metal 3D printing plant in Europe. Yaroslav Azhnyuk Petcube CEO & co-founder at Petcube (YC W'16). New! Alexander Neskin Petcube Founder & CTO at Petcube (YC W'16). New! Honor Gunday Paymentwall Global Business Development at Paymentwall. Dubinska Yevheniya Best Business Group Founder at Best Business Group. Ruslan Savchyshyn MagneticOne Ventures Founder at MagneticOne Ventures. Entrepreneur. Angel investor. Founder at MagneticOne, MagneticOne Ventures, Yaware. New! Olga Shevchenko MagneticOne Ventures Managing Partner at MagneticOne Ventures. Oksana Strashna Angel investor, UAngel Board Member at UANGEL. Angel investor. Board Member at Kyiv School of Economics (KSE). Semyon Dukach OneWay Ventures Partner at OneWay Ventures. ex-Managing Director at Techstars in Boston. Dan Pasko Nova Poshta Chairman of the Supervisory Board at "Nova Poshta". Shestakov Sergei Souzdruk Partner & Biz Dev at Group of Companies Souzdruk. Nick Bilogorskiy Angel investor, Cyphort Co-founder, Sr. Director, Threat Operations at Cyphort. ex-Chief malware researcher at Facebook. Bas Godska Angel investor Serial Angel Investor & Digital Dutchman. ex-CMO lastminute.com (Travelocity). ex-CMO | Dep. CEO Ozon.ru (Russian Amazon). ex.CMO Lamoda.ru | Rocket Internet. ex-MD Acrobator.com. Maxim Shkolnick Angel investor Partner at Focus Real Estate Fund. Vladimir Tarnopolsky Angel investor Entrepreneur. Angel investor..
New! Maxim Slobodyanyuk VARAIG Founder/CEO/Owner at VARAIG. Tech entrepreneur, investor, scientist (honorary Inventor of the world in WIPO). Former CEO/Founder at Nika Entertainment. Evgeniy Sarantsov TCDC Managing Partner at TCDC (Technology Companies' Development Center). Co-Founder / Partner at TradeHub. Former Co-founder at Zakupki-online.com (now zakupki.prom.ua). Victor Shaburov Looksery Inc., angel/seed investor CEO & President at Looksery Inc.
ex-VP of Storefront Services at Opera Software. Serties entrepreneur with M&A experience at his own companies (Snapchat has bought Looksery for $150 mln.). Expertise & focus: Partnerships with handset manufacturers, OEMs, mobile carriers, movie studios and brands on avatar communication/video call enhancement technologies. Max Gurvits Cross Border Angels Director for CEE, CIS, and MENA at Cross Border Angels. Aleksey Ivankin 908.vc, Stickerpipe Со-founder 908.vc, CFO at Stickerpipe. Andrey Horsev 908.vc, Stickerpipe Co-Founder & CEO at 908.vc. Yuriy Chayka MoneXy, mWallet and MobiPay (Finovate Studio*) Founder at Finovate Studio (MoneXy, mWallet and MobiPay). Entrepreneur. Angel investor with expertise and focus in fintech. Mentor at "I business incubator". *FINOVATE Studio (www.finovatestudio.com) is the fintech solutions studio that gives large market players access to best startups, best inventions and best teams in Russia, Ukraine and Europe as a major source of corporate innovations. Business. Vitaliy Goncharuk Augmented Pixels Founder and CEO at Augmented Pixels. Eugene Plokhoj CapableBits CEO at CapableBits. Andrew Litvin Hashtago.com CEO & Business development at Hashtago. Zhenya Rozinskiy Mirigos CEO at Mirigos. Daniel Tonkopiy Delfast CEO at Delfast*. Series entrepreneur, mentor at such accelerators as East Labs, Happy Farm. Expert in building businesses from scratch. Expert in logistic business, green technologies and electric transport. Andriy Guta AIO Ventures Managing partner at AIO Ventures. Co-founder of Mriya Agro Holding. New! Gusarov Aleksandr UUI Ventures Board Member at UUI Ventures. 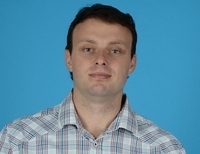 Radomir Novkovich 1С Company Product manager at 1C Company. Alexey Kuznetsov Nevermind IT CEO at Nevermind IT. Vadym Klymenko Zorea Ventures Founding Partner at Zorea Ventures. Entrepreneur, angel investor, UAngel member. Actively invests in startups, sharing experience of entering foreign markets, as well as 15 years of experience in telecom and IT. Business. One of the biggest and oldest tech media in Ukraine ex-CEO and ex-Editor-in-chief at AIN.UA. AIN.ua – one of the biggest and oldest tech media in Ukraine CEO at BrainCombinator, CEO at AIN.UA. New! Timur Vorona Simply Media Co-founder at Media consulting "Simply Media". New! Vera Chernysh Simply Media Faery at Media consulting "Simply Media". Former Native advertising editor at Genesis. Former Head of Marketing & Special Projects at Focus. Former Head of PR at Forbes, Korresponent, Focus, Argumenti i Fakti at UMH group. Studied Public Relations/Communications at Chartered Institute of Public Relations. New! Denys Zhadanov Readdle Co-founder & VP Marketing at Readdle. New! Igor Zhadanov Readdle CEO & Co-founder at Readdle. New! Roman Kostochka Coursmos Founder & CEO Coursmos. New! Alex Romanovich The CMO Club Managing Director at WeFundHealth, S2B and Viosk. Advisory Board Member, Digital Media Strategist at The CMO Club. New! Torben Majgaard Ciklum Founder/CEO/Owner at Ciklum. New! Aleksandr Konotopskyi Ajax Systems CEO at Ajax Systems Inc.
New! Vlad Voskresensky InvisibleSolutions CEO at InvisibleSolutions. New! Pavlo Bashmakov Stanfy Co-Founder at Stanfy. Dima Okhrimchuk ex-AVentures Capital, UC Berkeley School of Business MBA Candidate at UC Berkeley, Haas School of Business. Senior Associate at Aventures Capital. Was responsible for M&A at UMH Digital. Before that - 5 years in investment banking. Nikolay Savin Competera Head of Products at Competera. Active leader of Kyiv Startup Ecosystem. Former Managing Director at GrowthUP (first Ukrainian business accelerator), former co-organizer of IDCEE (the largest startup conference in the CEE), ex-MP at GrowthUP+ venture fund. Co-organizer at Product Tank Meetup. Former Co-Founder at Startup Crash Test project. Pavlo Pedenko MacPaw Product Manager at MacPaw. ex-Head of Web Production Department в 1+1 (One of top-3 Ukrainian TV channels). New! Anastasia Sleptsova Black Sea SummIT 2016. Inspirer, Project Director at Black Sea SummIT 2016. Helen Lokaychuk IT-Cluster Odessa Activist and Head of Legal Committee at IT-Cluster Odessa. Chief Executive Officer at LockChain. Jaanika Merilo Dnipro Town Council Deputy Mayor at the Dnipro City Council. Advisor to Minister at Ministry of Infrastructure of Ukraine. Chief Innovation Officer at Lviv city, Ukraine. IT-advisor to Lviv City Council. Member of BrainBasket Foundation. Rostyslav Chayka Lviv Startup Club Founder at Lviv StartUp Club. Maksym Lysak StartupDepot, iHUB Co-founder at Startup Depot (Lviv). Managing partner of educational center iHub Lviv. Viacheslav Maiakin EGAP Natioanl coordinator at EGAP. Founder & CEO at Innovation BOX (Dnipro). Managing partner at SPACE HUB. New! Roman Zinchenko Greencubator Co-founder at Greencubator. Roman Zinchenko is smart energy / green economy advocate and communications consultant. Since 2009 he develops eco-system for green startups, social entrepreneurship and sustainable innovations at Greencubator, Ukrainian energy innovations network (www.greencubator.info). Roman is among creators of Ukraine’s leading green startup events, including TeslaCamp, Hack4energy, Smart Energy Forum & Hackathon and over dozen EnergyCamps. New! Arthur Kiulian Colab Co-Founder & Partner at Colab. Former Founder at It Djents. Former Chief Executive Officer at Latio. New! Mike Chobanyan Bitcoin Foundation Ukraine, KUNA Bitcoin Agency Founder at KUNA Bitcoin Agency. Co-founder at Bitcoin Foundation Ukraine. New! Andriy Dubetsky Bitcoin Foundation Ukraine Co-founder at Bitcoin Foundation Ukraine and UVCA member. New! Stepan Veselovskyi Lviv ІТ Cluster CEO at Lviv ІТ Cluster. Member of the Supervisory Board at Brainbasket. Chief Evangelist Officer at Innovation District ІТ Park. Chief DJ Officer at Futureland Festival. Head of Organizational Committee, Initiator at Lviv ІТ Jazz. Honorary Ambassador at Lviv City Council. Board Member at Lviv ІТ House. Leader at Lviv ІТ Club. Head of Organizational Committee, Initiator at ІТ Arena. Co-Founder at Startup Depot (Lviv Business Incubator). New! Dmytro Dubilet iGov Project Manager at iGov (a leading platform for online government services, made by voluntaries). Former IT Director at PrivatBank*. Fintech expert. Member of the Supervisory Board at Brainbasket. Kyrill Zlobenko Seedrs Regional Manager, DACH at Seedrs. ex-COO at eCozy. Entrepreneur, mentor, expert in european accelerators, IoT and venture ecosystem in general. Kyrill brings 9 years leadership in tech and international business development. He co-founded, scaled and worked with ventures in multiple European countries (Sweden, Germany, Italy, Austria, Poland, Ukraine), likewise Russia, US and Israel. Julian Zegelman Velton Zegelman Partner & Corporate Attorney at Velton Zegelman, angel-investor. New! Leonard Grayver Greenberg Whitcombe Takeuchi Gibson & Grayver LLP Co-chair corporate and international law practice at Greenberg Whitcombe Takeuchi Gibson & Grayver LLP, a boutique law firm based in California. New! Dima Gadomsky Axon Partners CEO at Axon Partners. New! Nick Polatayko Sayenko Kharenko Associate, coordinator of IT practice group at Sayenko Kharenko. New! Bogdan Ianatiev Stanfy Marketing Evangelist at Stanfy. New! Ruslan Nazarenko Branch Brand Ambassador at Branch. Marketing expert. Lector at Projector's marketing courses. Former directoe at All Ride group. Former Chief Executive Officer at Robohunter. Yaroslav Romashko ARTKB Chief Operations Officer at ARTKB*. New! Alex Nesterenko ARTKB CEO & Founder at ARTKB. New! Dmytro Bilash Septa Managing Partner at Septa. Co-founder at Kyiv Data Spring. New! Vita Kravchuk TCDC Partner, Business Development at TCDC (Technology Companies' Development Center). Founder at Business Gallery Ukraine. New! Anna Soloid HappyMonday (ex. Start2go) Co-Founder at HappyMonday (ex. Start2go). New! Viktoriya Prydatko HR-Maverick Founder at HR-Maverick and VPteam.com.ua. – Managing partner at IG VC ($25+ mln. venture fund). – IT-entrepreneur. Founder of DubFellows. – Startup consulting expert for IT-companies. – Imperious Group is a rapidly developing venture capital company based in USA, Israel and Eastern Europe. – $25 mln. under management. – 40+ deals in 10 countries. – Portfolio companies with follow-on investements from worlds top-tier VC's. – One of the most active seed-investor into startups with Ukrainian founders.